While there are many varied tasks associated with my role as Social Media Director for Berroco, designing is no where in the job description. That said, I’ve been fortunate to be involved in several team projects, including this summer’s Ultra Alpaca Mystery Knit-Along! 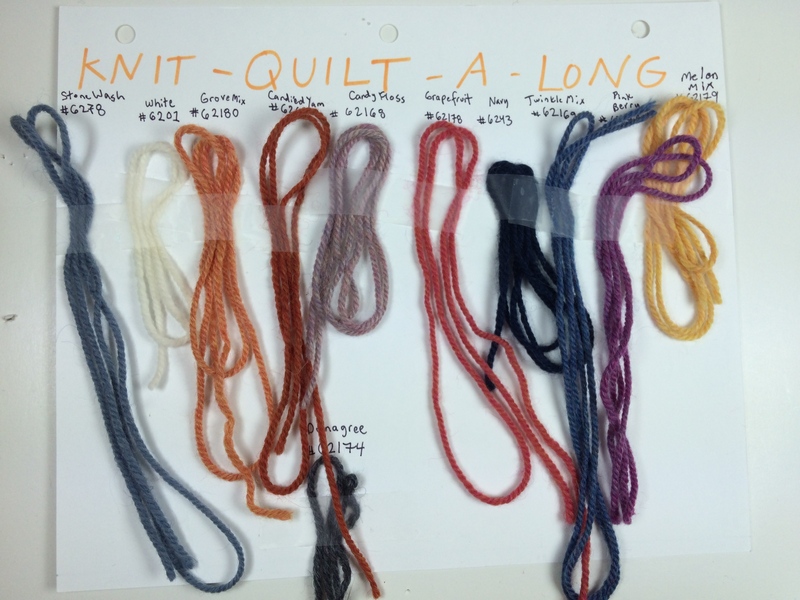 Amy picked 10 shades of Berroco Ultra Alpaca and told us to use as many as we wanted to make a 12 by 12 inch, garter stitch, log cabin style, afghan block. Ready, set… design! I started in Excel, mocking up more than 20 different color variations. They were intriguing, but – aside from a Tetris inspired block that I knew we’d never use – none of them really meant anything to me. Still, the girls all agreed on one they liked and I put it out of my mind for a month or so. A dramatic sunset I caught on the way home from the grocery store last April. By the time I started knitting my block, Emily had finished hers and I had serious color envy. It wasn’t the colors themselves that made me jealous, but the fact that she had added them with such obvious purpose. Also, she had used a lot of white, which I had forgotten was even an option. After thinking about it for a day (and hating my block even more as it was knitted), I came up with new inspiration. I designed a block that reminded me of one of my favorite sunset pictures. I used the white to create a kind of stained glass effect. I might be the only one that sees it, and that’s okay. It gives my design personal meaning. You can get this free pattern, and instructions for the first two squares, on our Ultra Alpaca Mystery Knit-Along page! 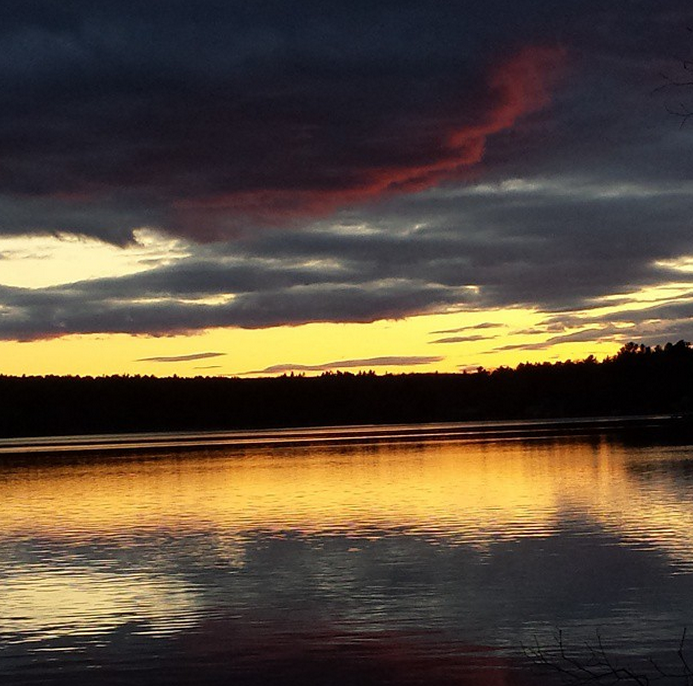 Before you go… enjoy a few more sunset pics! Lovely design and your photo of the Portage Lake lift bridge makes me homesick. Are any of the others from the UP? Thanks! None of us are from the U.P. but I was lucky enough to live in Houghton for 2 years, so I consider it a second home. Oops, I was wondering about the sunset photos, sorry I wasn’t clearer. Haha, that makes more sense! That’s the only U.P. photo. The rest are from around New England.